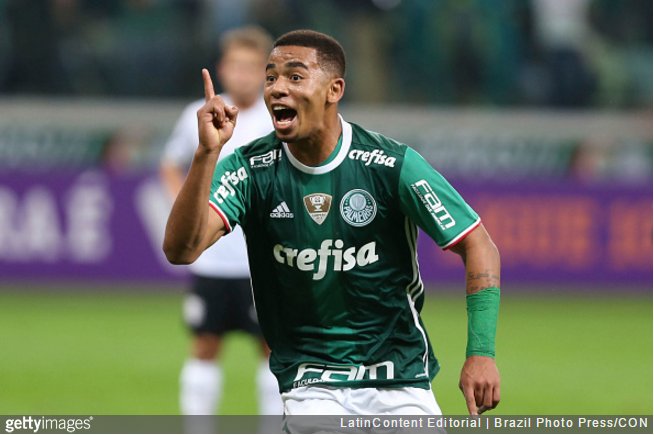 Man City now have completing a £27million deal to bring prodigal Brazilian striker Gabriel Fernando de Jesus in from Palmeiras. The transfer marks the second coming of Jesus at the Etihad, following the holy arrival of Señor Navas several years back. Anyway, the 19-year-old, who was named “best newcomer” in the 2015 Campeonato after scoring 15 goals in 19 appearances, has today signed an agreement that will see him pitch up at City in January of 2017, with his contract thereon extending to the 2020/21 season. Word is Gabriel thumbed his nose at Barcelona in favour of pledging his future to City – therein lies the power of Pep.